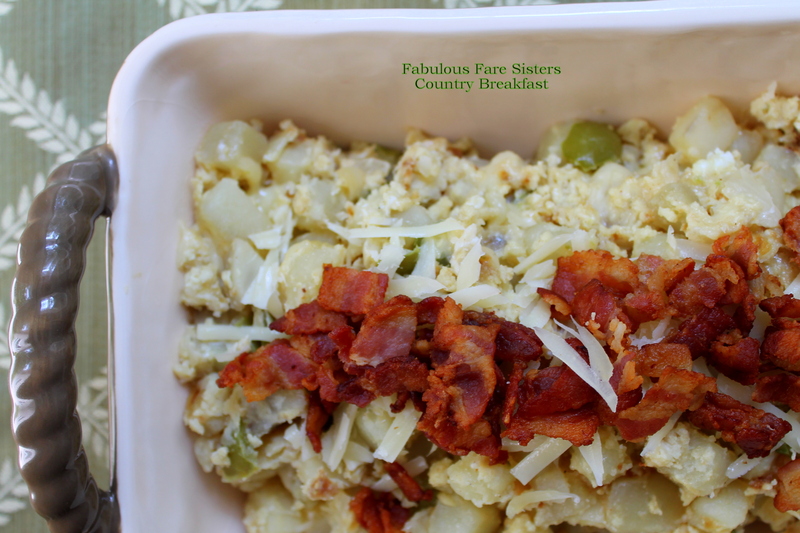 I recently shared one of my grandmother’s stand-by recipes: German Potato Salad. Here’s another one of her favorites! Mom Mom (Catherine) was a ‘meat & potatoes’ cook…she loved serving potatoes since a little goes a long way and there were many mouths to feed! 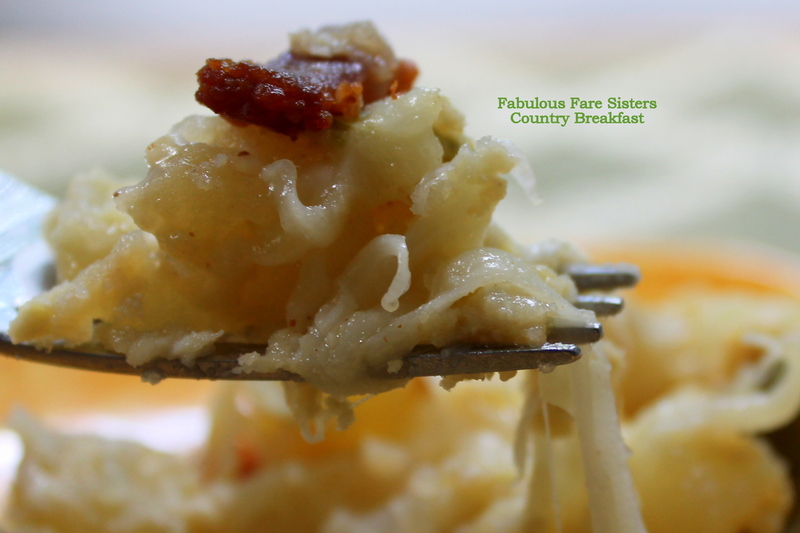 I’ve taken her Country Breakfast recipe and adapted it for four servings. It’s hearty and filling and a great weekend breakfast! In a deep skillet, cook diced bacon until crisp. Remove from skillet and reserve. Drain all but 1 tablespoon of the bacon fat. In same skillet, heat the bacon fat with the butter. Add the diced potatoes, green peppers and onions. Cook on medium to medium-high heat 20-25 minutes until lightly browned; stirring occasionally. Pour the beaten eggs over the cooked potatoes in the skillet. Cover skillet and cook until eggs are set. Sprinkle with the cheese and heat until cheese melts. Top with bacon and serve immediately. Every bite is creamy and delicious! This recipe has been shared on Throwback Thursday, Funtastic Friday, Fiesta Friday, The Pin Junkie and Saucy Saturday…go check it out and then visit some other great sites! This is a recipe worth waking up for! Thanks for sharing on Fiesta Friday! This is definitely a brunch item that would sell out anywhere, especially with that bacon on top Woooohoooo!! This is good. I think Grand ma’s recipes are the best, aren’t they? Thanks for sharing Linda. Oh gosh, yes please! Topped with an egg, lol! Looks like a good morning to me! This sounds fantastic, I’m going to try making it. Love potatoes, wish I didn’t but they really are so good and such a wonderful part of a hearty breakfast. Miam, miam! Pass the Tobasco. 🙂 Love your serving dish too! That looks fantastic! And I think between the garden and the pantry I have everything I would need to make it! Except I never have Gruyere cheese. I imagine cheddar would be good too?